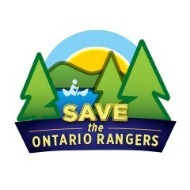 Friends of the ORP - Save Ontario Rangers! 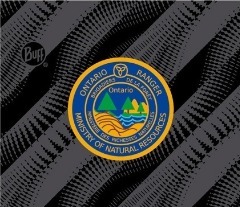 The Ontario Ranger Program, dating back to 1944 and with over 78,000 alumni, was cut by the Ontario government on September 27, 2012. Friends of the Ontario Ranger Program is continuing to garner support and actively showing why and how the Ontario Ranger Program, formerly the Junior Ranger Program, is a unique, irreplaceable, youth program. It's time to get together with JR/OR buddies old and new, to reminisce about our time in the woods. 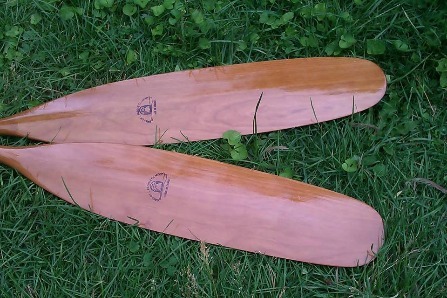 There is also a pair of beautiful wooden paddles up for grabs for one of our lucky attendees! You can join this event on Facebook to stay in the loop as we plan activities for the day (all suggestions - and donations/sponsorships! - very welcome). Share with your Ranger pals to spread the word across Ontario. Meet at the Sunset Pavilion (gate staff will direct you there). Campers: settle in at group site #5 from Friday afternoon - Sunday lunchtime. 10:30am: Join park staff on a trees, toads and trails hike to celebrate Canada's Parks Day. You could WIN a "glamping" retreat for 2 (courtesy of Moonlight Glamping); an annual membership for Grand River Parks; or an eco-adventure birthday party! Throughout the day: Games, swimming, and a chance to swap stories. Bring your Ranger mementoes to share with the group! NOTE: this is a BYOG (Bring your Own Grub) event. There is a snack kiosk in the park, or check the event wall for a great local shopping option! 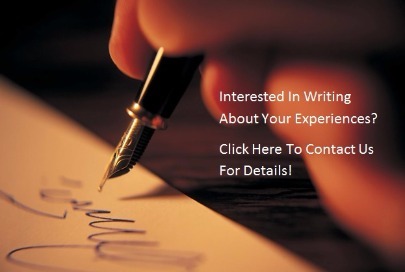 Feel free to email us with any questions: friendsoftheorp@gmail.com. Check out what we've done in the past: Accomplishments page. There is also an opportunity to order a BUFF and pick it up at the event! Look below for details about BUFFs- a multipurpose headwear. OR bring your money and buy one at the Reunion! Custom RAnger Buffs Now available! Custom Ranger BUFFs are now available to order! Click here or go to our 'Ranger Swag' page to find more details and order yours. Municipal Councils across Ontario (e.g. Huntsville, Uxbridge, Thunder Bay, Sioux Lookout, Newmarket, Township of Ramara) have supported our resolution to restore the Ontario Ranger Program in the 2014 provincial budget. Thanks to Uxbridge, most municipalities throughout Ontario have received and discussed our resolution. Contact your local municipality or check the minutes from recent meetings to see if they voted to support the resolution. Phone, email or drop into the municipal office to thank them for their support! Find the resolution on our Resource page or download it here. Most CAs have received the resolution this month (January) and it will be discussed at a public meeting in January or February. 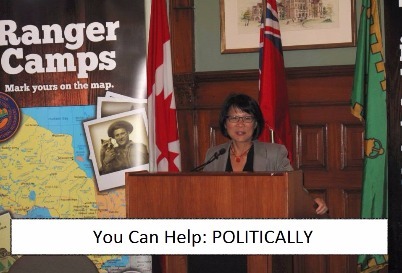 YOU can help by contacting your local or favourite CA and telling them why their support is important. Bring a group to the meeting & make your voices heard! Download the resolution here. 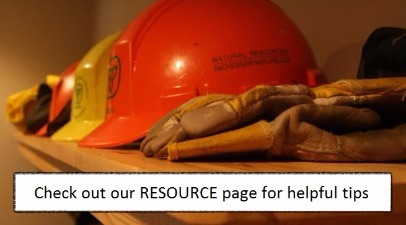 Or find it on our Resource page. 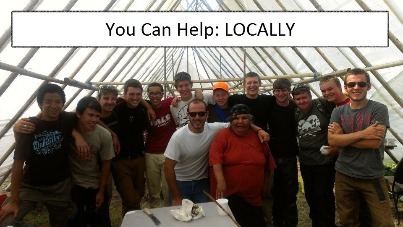 Thank you to Kettle Creek CA and Lakehead Region CA for you support! If your local CA or municipality voted to support our resolution, please contact your MPP to ensure s/he is aware that many people in their riding support the reinstatement of the Ontario Ranger program! 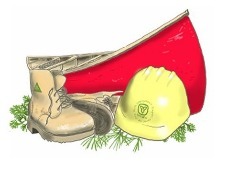 What is the Ontario Ranger Program? 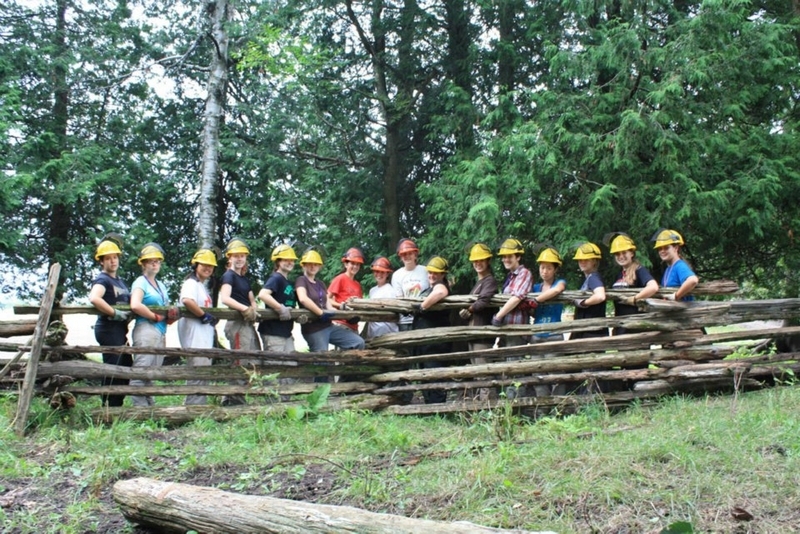 The Ontario Ranger Program was a youth program run by the Ontario Ministry of Natural Resources (MNR). Dating back to 1944, it was called the “Junior Forest Ranger Program”, and in that first year employed 21 youth. Since then it grew to offering about 804 summer positions, and as high as 2000 positions in 1973. In its hayday the program included 52 camps! The official name of the Junior Ranger Program changed to Ontario Ranger Program in the early 1990s. HBM wants Junior Ranger program restored, cites "positive influence"
Read personal stories of how the program has influenced lives and makes a difference. 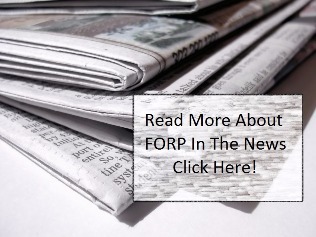 Find more at our blog or click on a story below. "If the new Kathleen Wynne provincial government are serious about giving hope to young people, then the Junior Forest Ranger program must be reinstated." One reason why it matters, find more here.